their marriage. But her sister Sarah (she who has her financial act together and never lets her sister forget it) insists this will be fun for both their families. It will only be fun for Taylor if her husband gets eaten by a giant squid. Then there’s Darrel Wilson, who planned the perfect anniversary getaway for his wife, who’s been undergoing chemo. So much for the perfect anniversary. And the sisters, Lisa and Karen, who can’t seem to go on a sister outing without it turning into a Lucy and Ethel adventure. Unlikely roommates, all of them. But perhaps each one has a valuable lesson to share with the others. And perhaps, what looked like a disaster will prove to be the best holiday adventure of all. “We’re all for that,” said Patricia Whiteside. the newbie, to come up with something. “So, are you proposing we have a tree-lighting ceremony?” Susan mocked. “We just had a festival in August in case you forgot,” Susan said snidely. selling her own designs over at the Oyster Inn. “That was in the summer,” Susan reminded her. “The weekend before Christmas?” Susan objected, frowning at her handout. holidays. All we need is an event to lure them down. A festival could do it. Maybe it was. Jenna’s left eye began to twitch. favorite places to hang out. give it a try,” she added, and Jenna’s eye stopped twitching. timers like Susan Frank. “I’m sure someone else…” she began. “Your idea, you have to do it,” Susan goaded. Inn. How much harder could it be to organize a festival? In three months. Blink. Blink, blink, blink. with Santa Festival for the weekend before Christmas?” Brody asked. “So moved,” said Ellis. “I’m with you, kid,” he told Jenna. give Jenna’s shoulder an encouraging pat. “All in favor?” Brody asked. you put that in the minutes,” she told Cindy. What did Susan know? Blink, blink, blink. USA Today best-selling author Sheila Roberts has seen over fifty books, both fiction and non-fiction in print. Her novels have appeared in many different languages and been made into movies for both the Lifetime and Hallmark Channels. 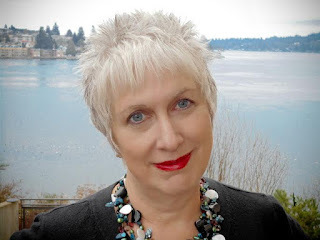 She writes about things near and dear to women’s hearts – love, friendship, family and chocolate.Her latest book is the women’s fiction, Winter at the Beach. 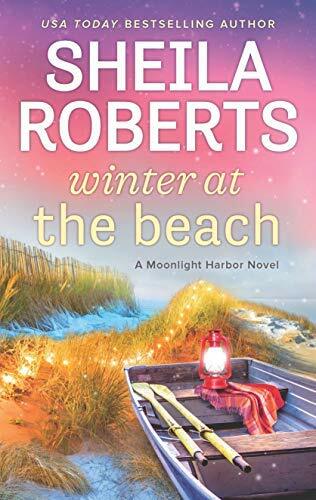 Review (4.5 Stars): Winter at the Beach is a delightfully charming story set in the wonderful town of Moonlight Harbor. We met Jenna and the gang in the first book, Welcome to Moonlight Harbor, and this is the perfect series to cozy up to during these cold winter months. Jenna is having a hard time getting reservations at her hotel, The Driftwood Inn and comes up with the idea to start a winter festival to bring tourists back to this lovely community. Things don’t go quite as planned and Jenna believes that she may lose everything when things seems to turn into a great big disaster. I loved seeing how Jenna and her daughter were adjusting to life in Moonlight Harbor and the struggles that they faced being on their own. Jenna is one of those characters that you can instantly connect with and I definitely understood what it feels like to navigate the difficult role of raising a teenage daughter. My heart went out to her for this. The story was well-written, filled with laughter and tears, and you will enjoy spending time with the wonderful characters of Moonlight Harbor. I always enjoy my visits to this sweet community and I can’t wait to read the next book in this great series.